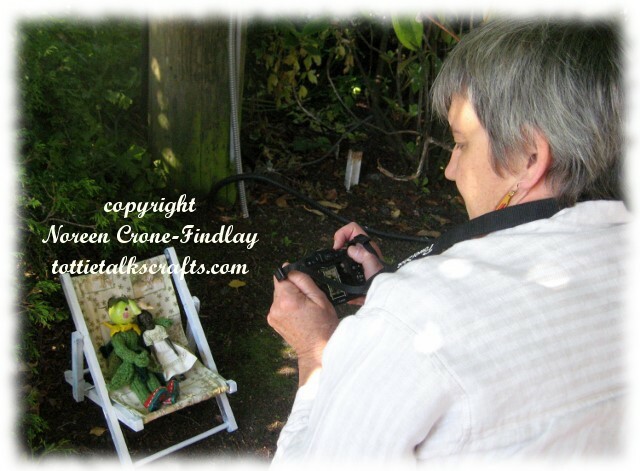 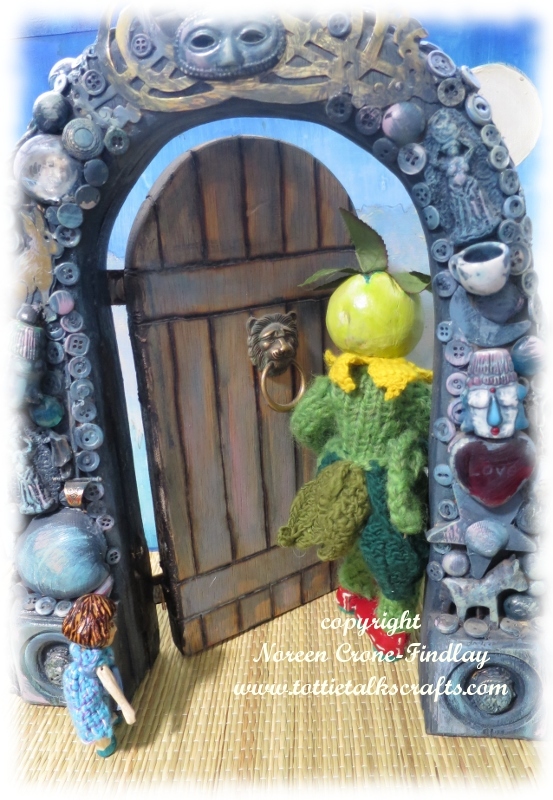 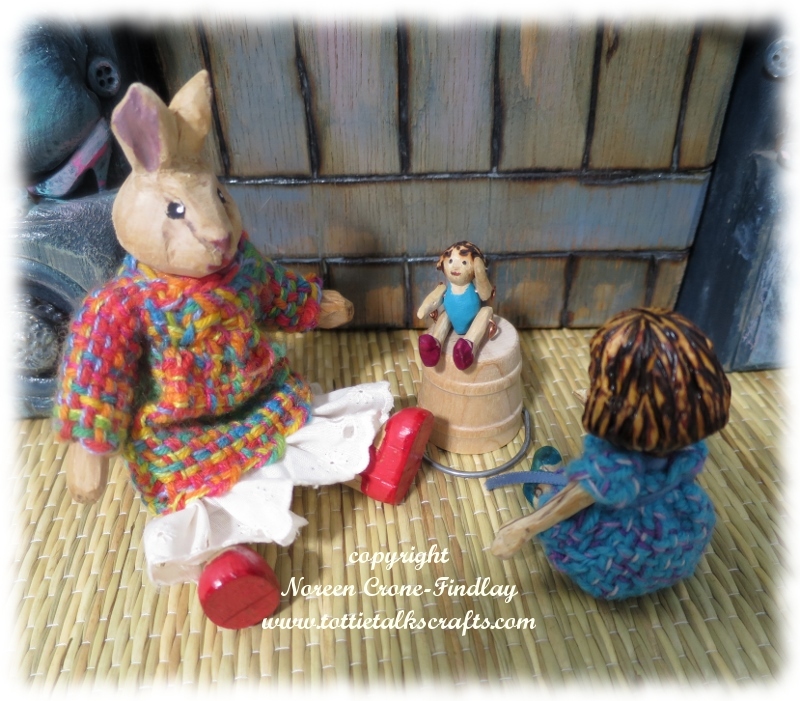 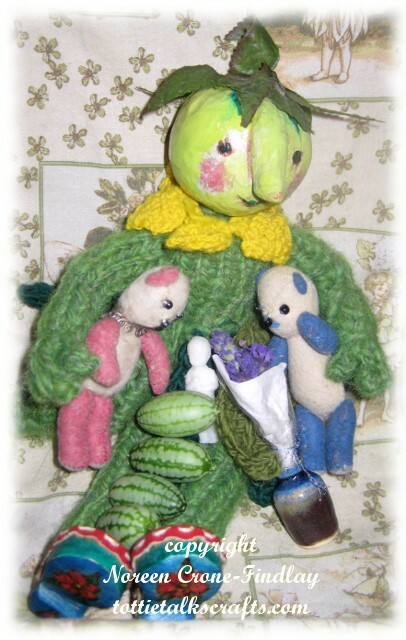 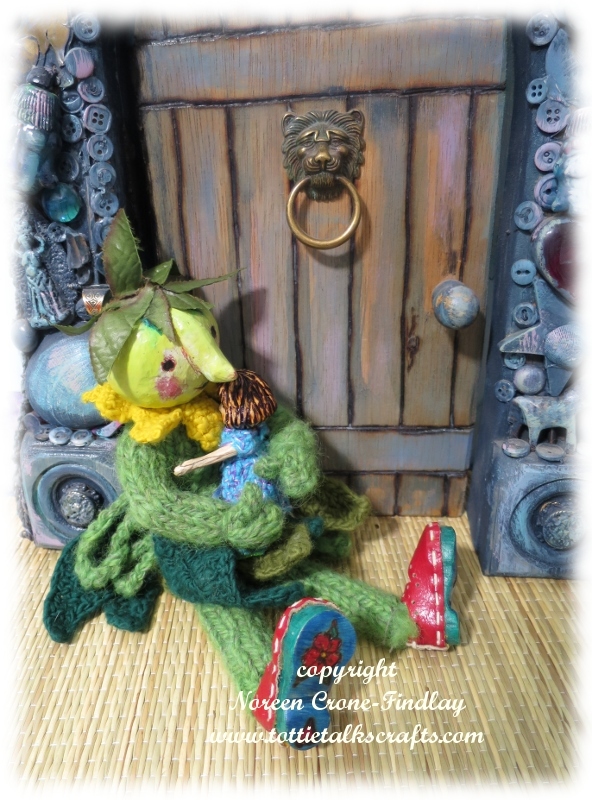 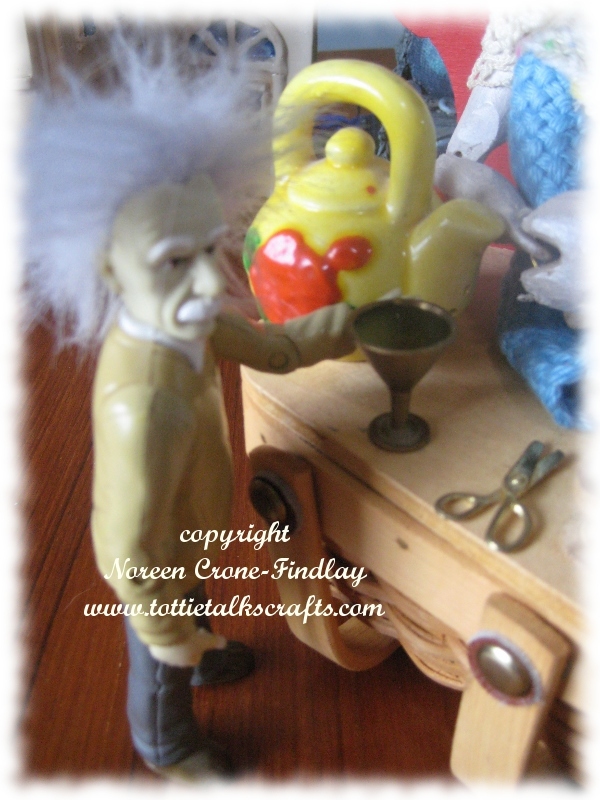 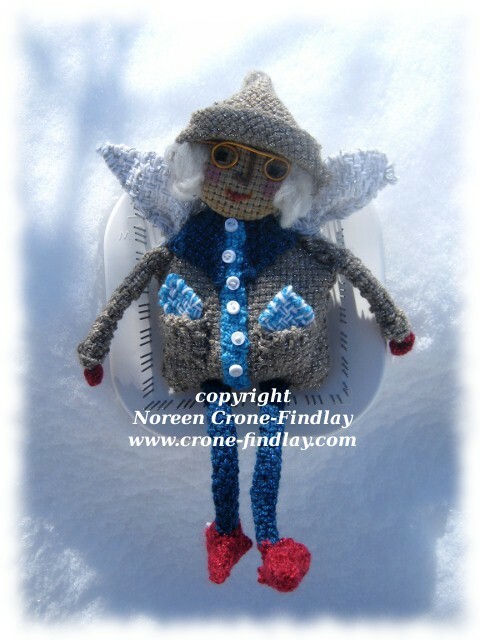 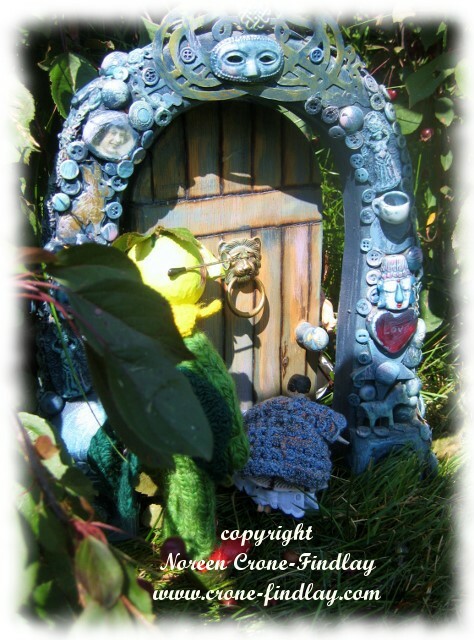 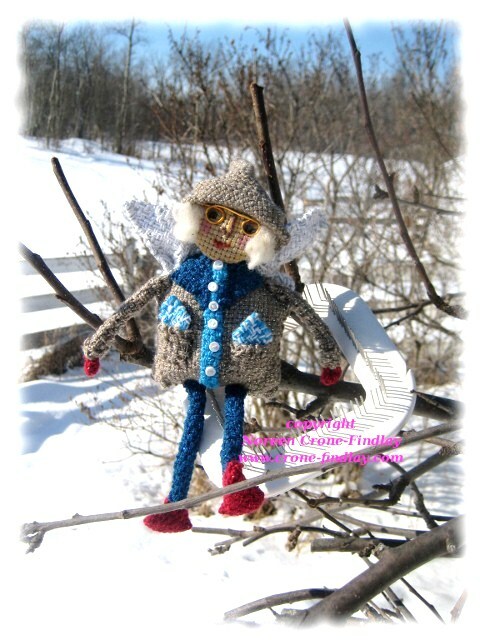 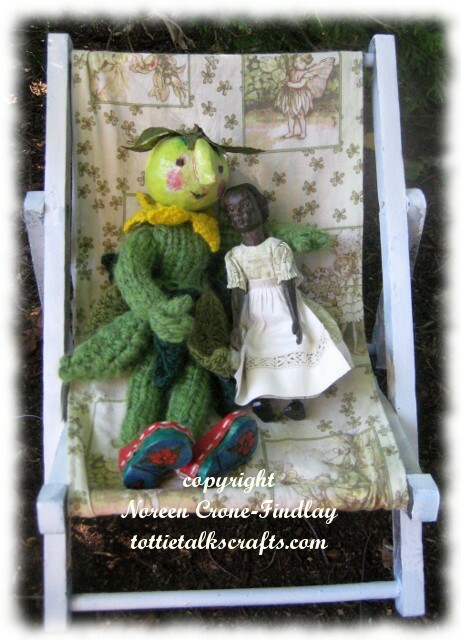 Tottie Tomato and Peggotty Caroline heard sounds coming from the Fairy Door down by the apple tree. 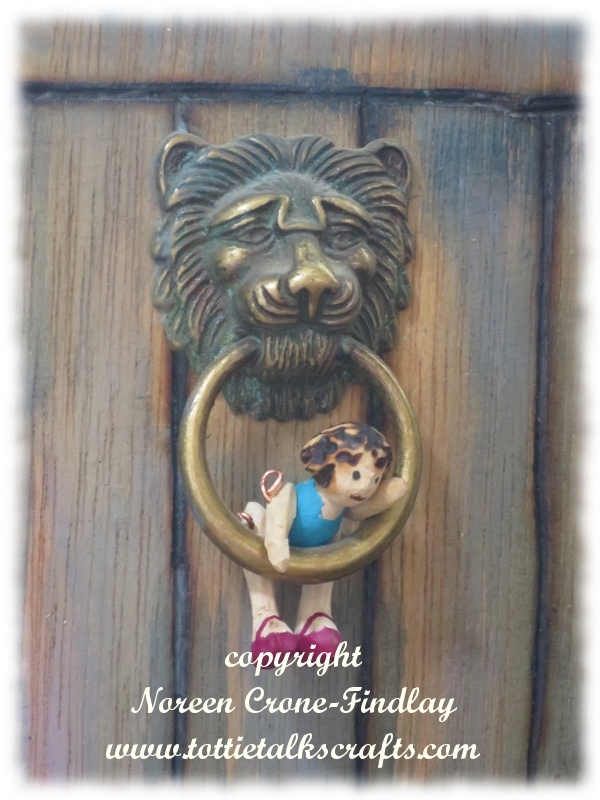 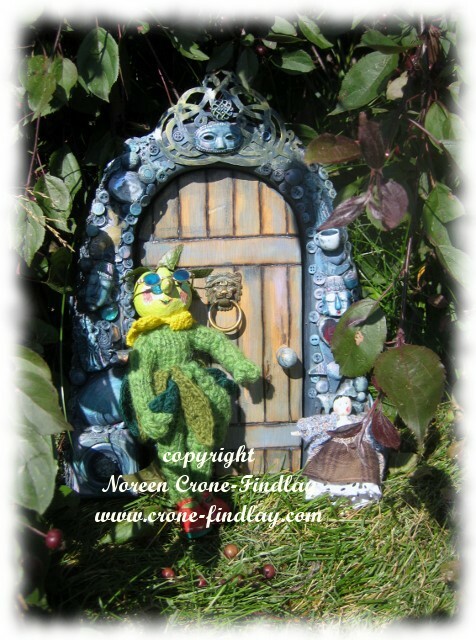 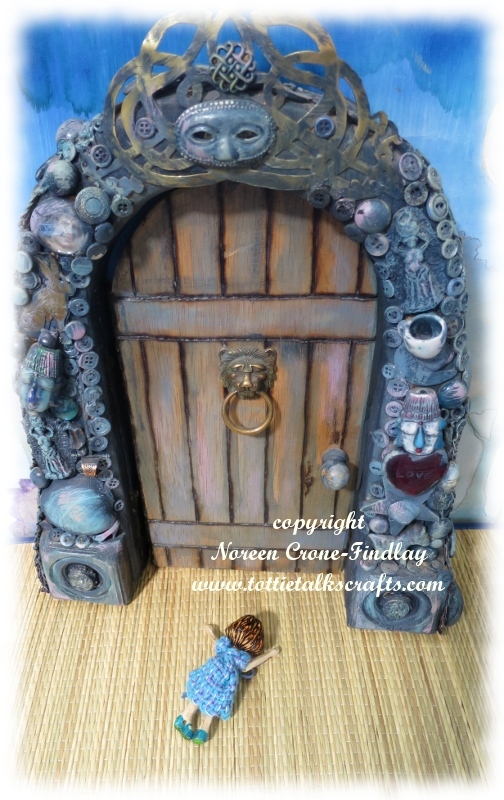 A hand opening the Fairy Door? 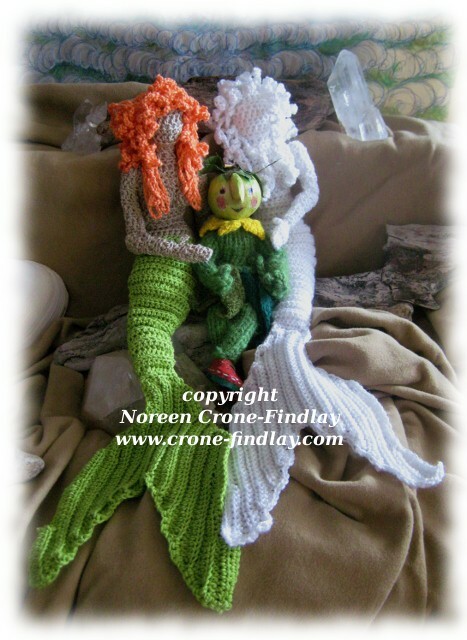 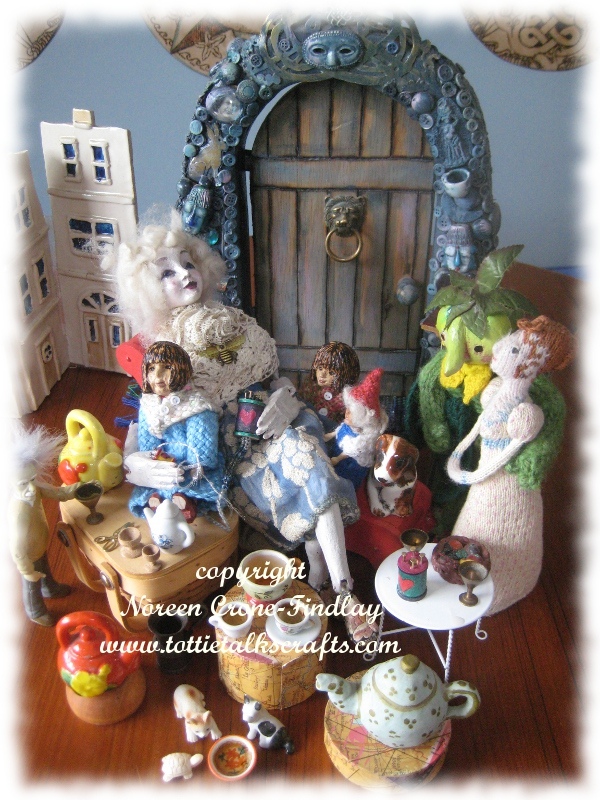 Tottie Tomato shakes hands with Victoria Kjersten Hitty, known as ‘Tennie’, but, Peggotty Caroline is so excited to meet their new friend, that she throws her arms around Tennie in a welcoming hug. 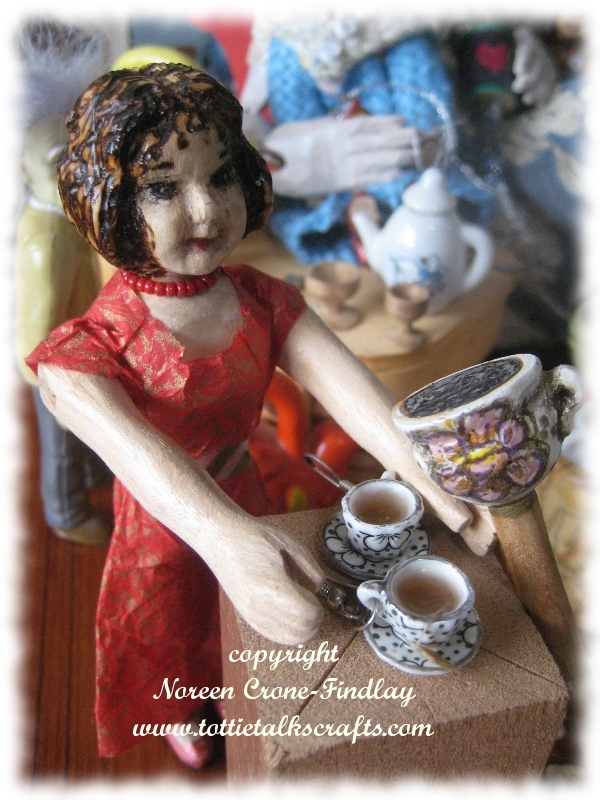 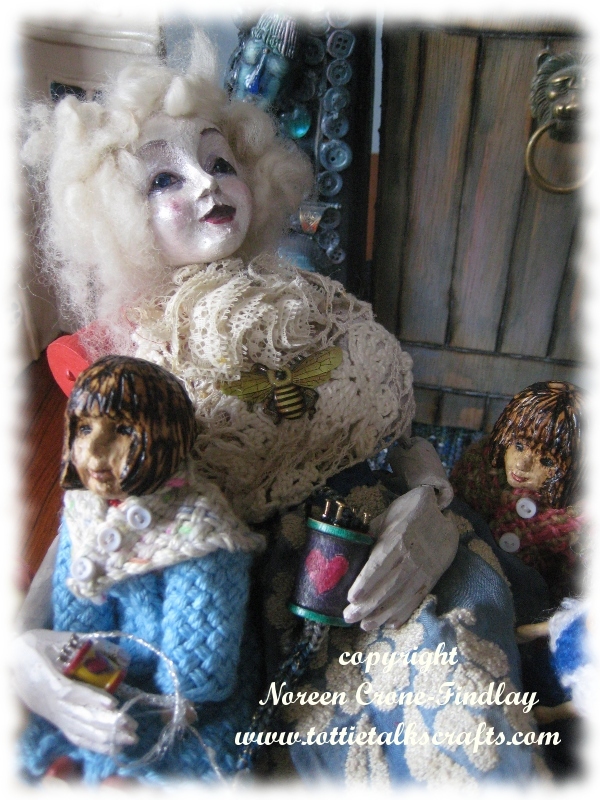 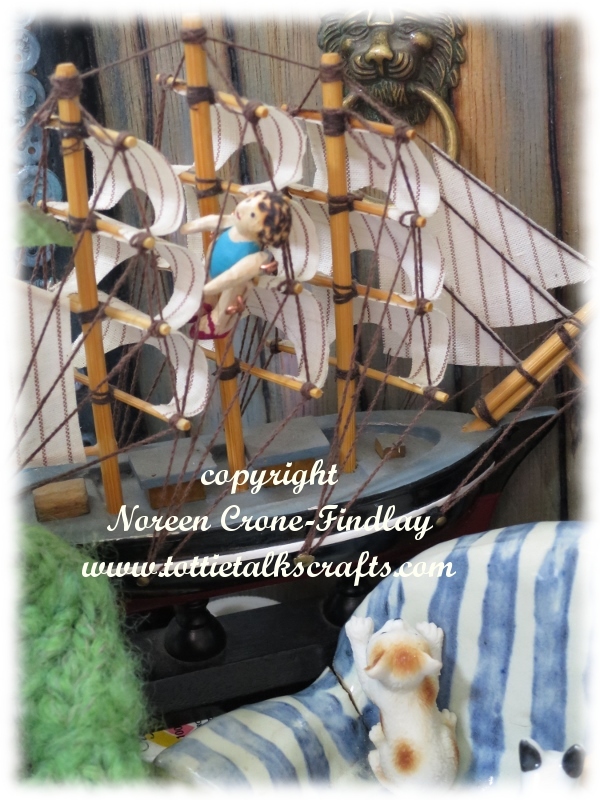 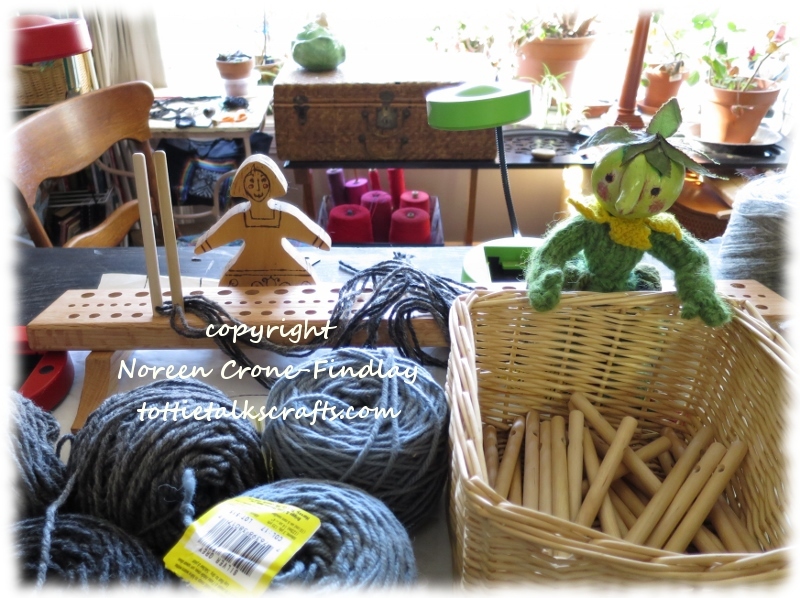 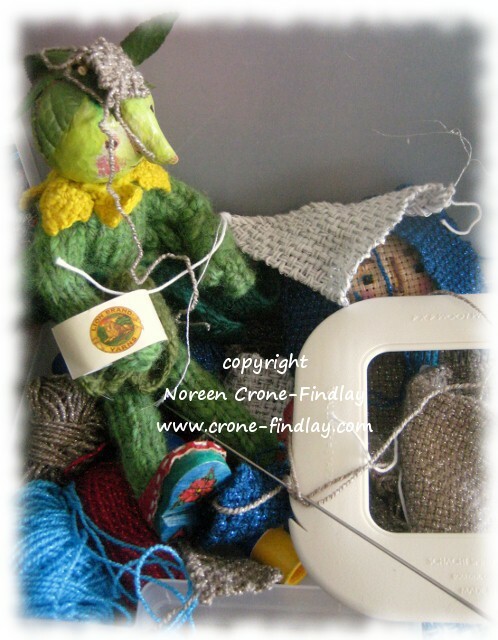 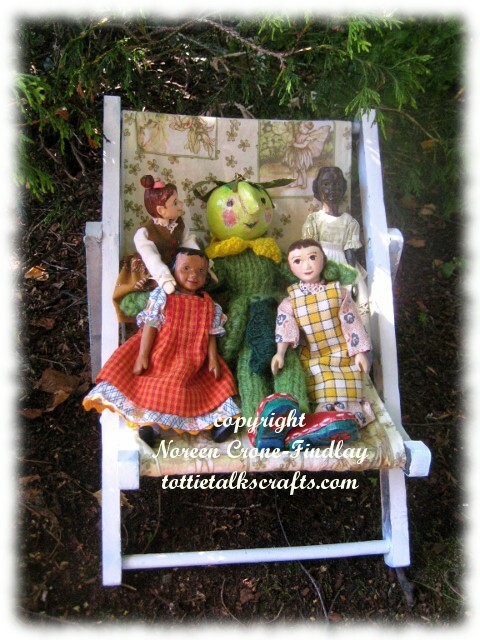 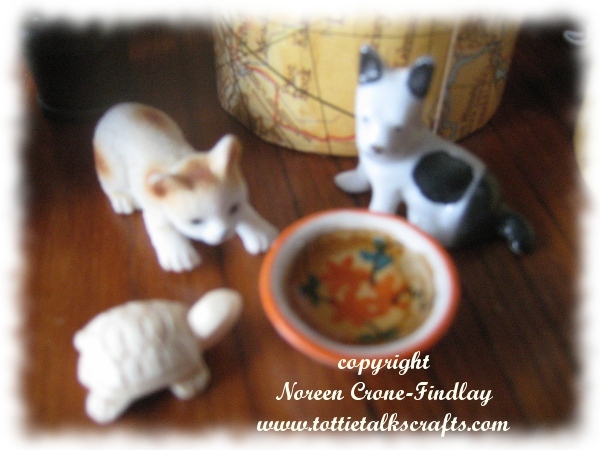 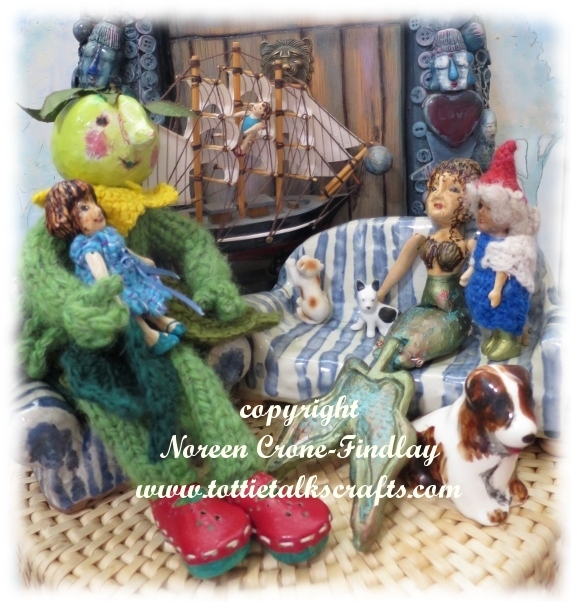 Tottie Tomato and Peggotty Caroline decide immediately that Tennie Hitty is going to be a good friend. 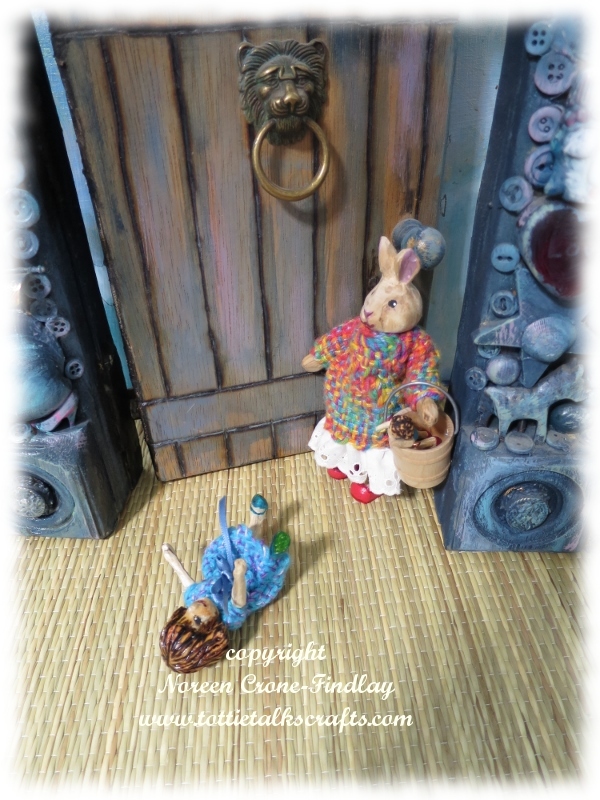 Sometimes, you can just tell, can’t you? 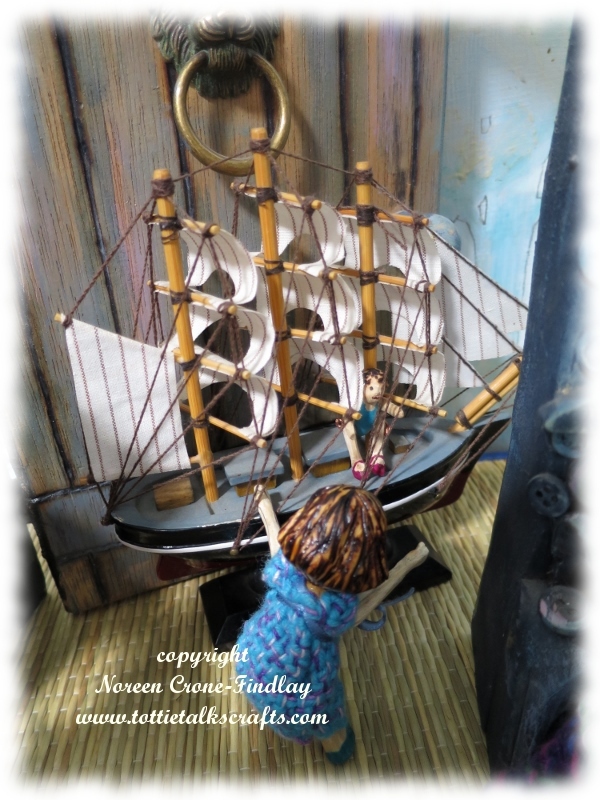 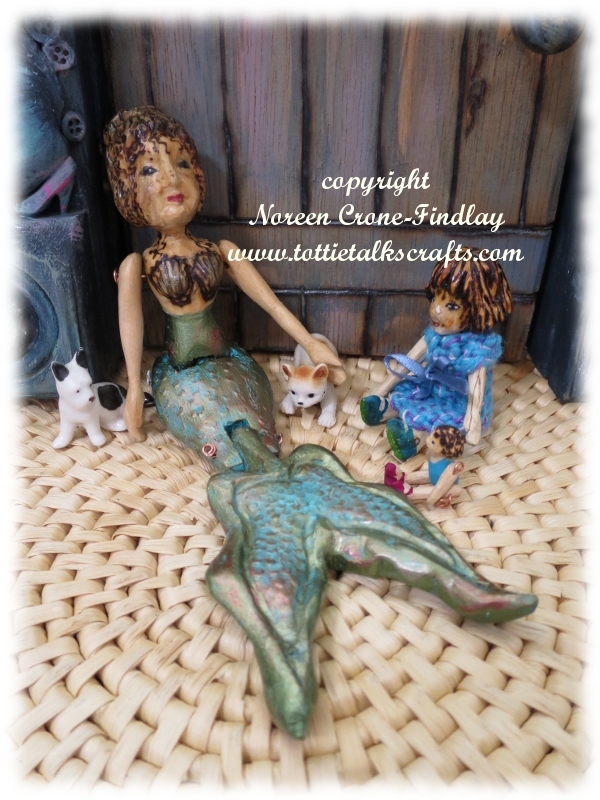 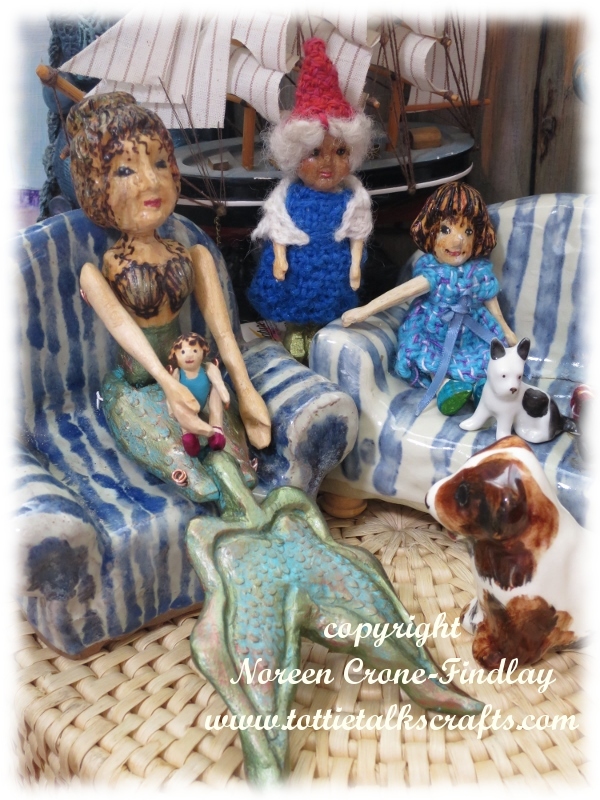 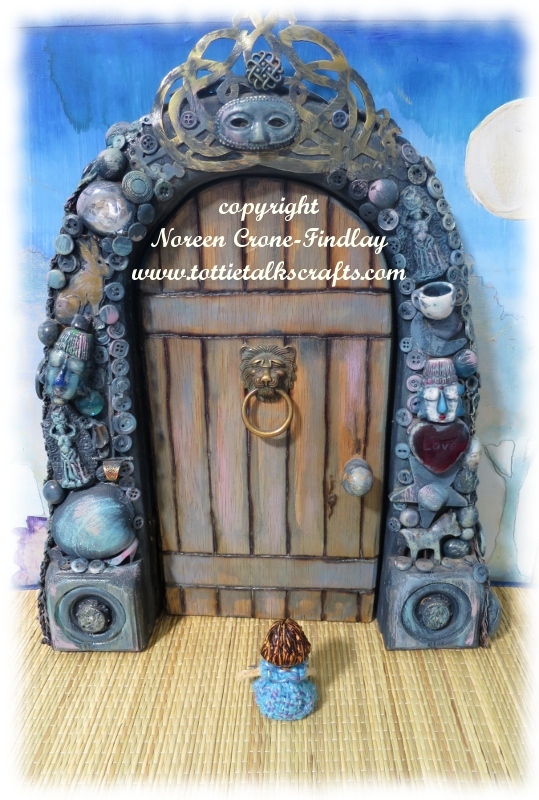 And, they are thrilled that Tennie has come through the Fairy Door to live in the studio with them. 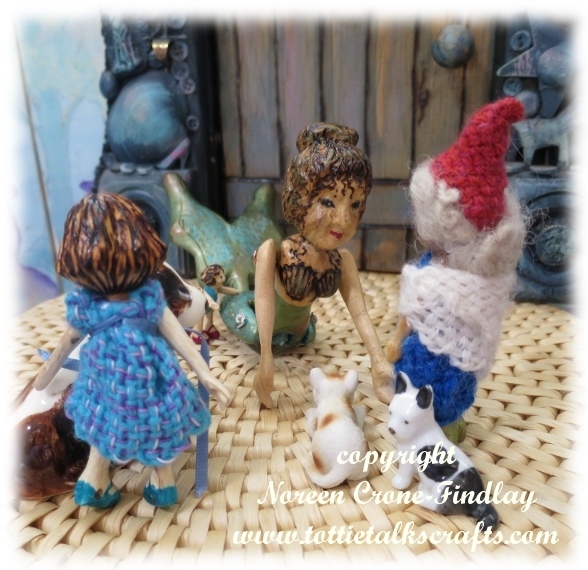 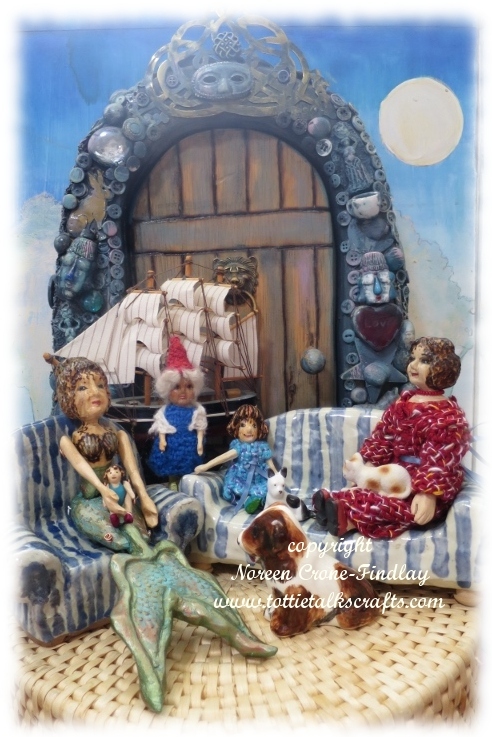 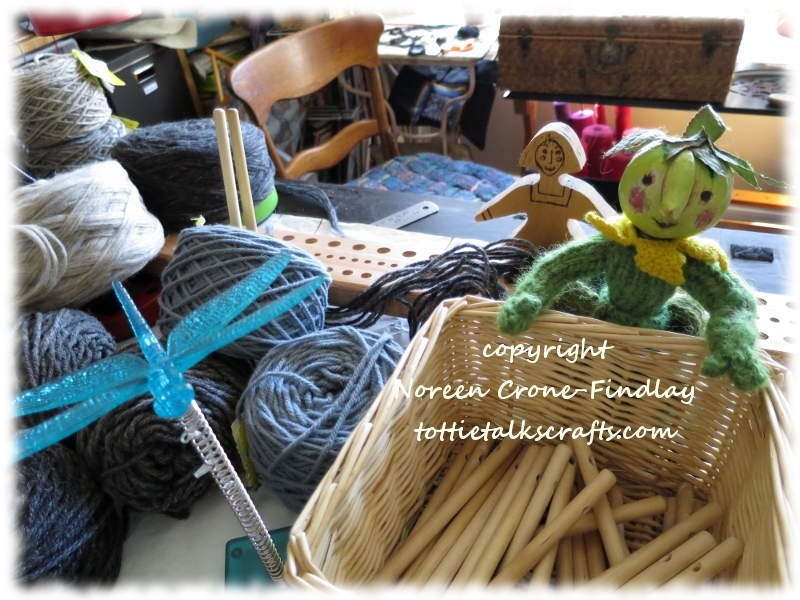 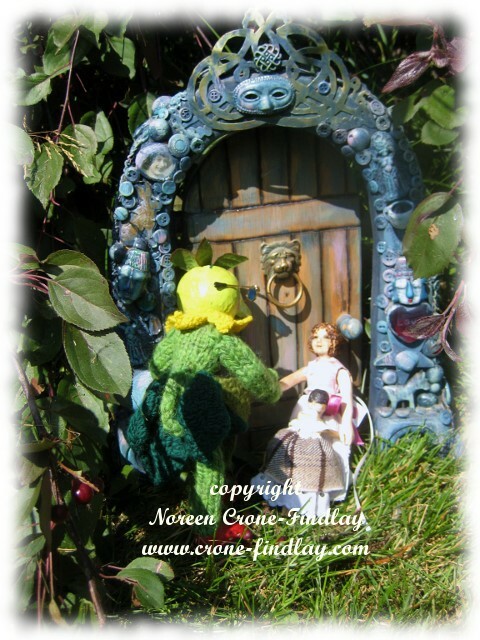 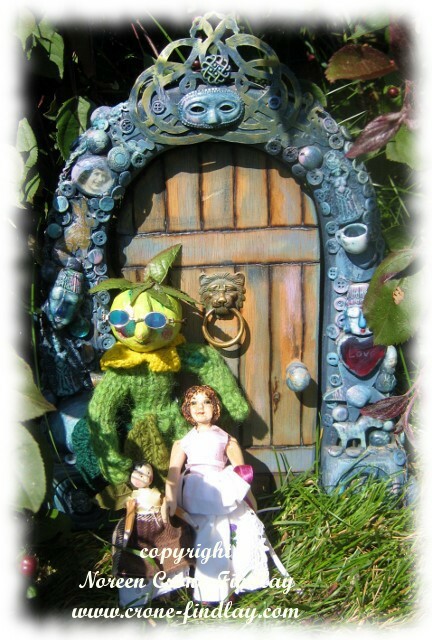 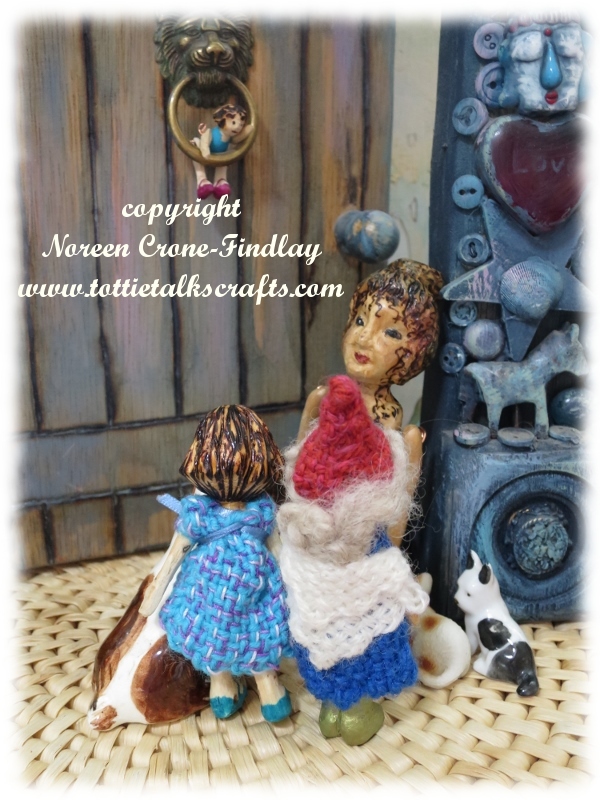 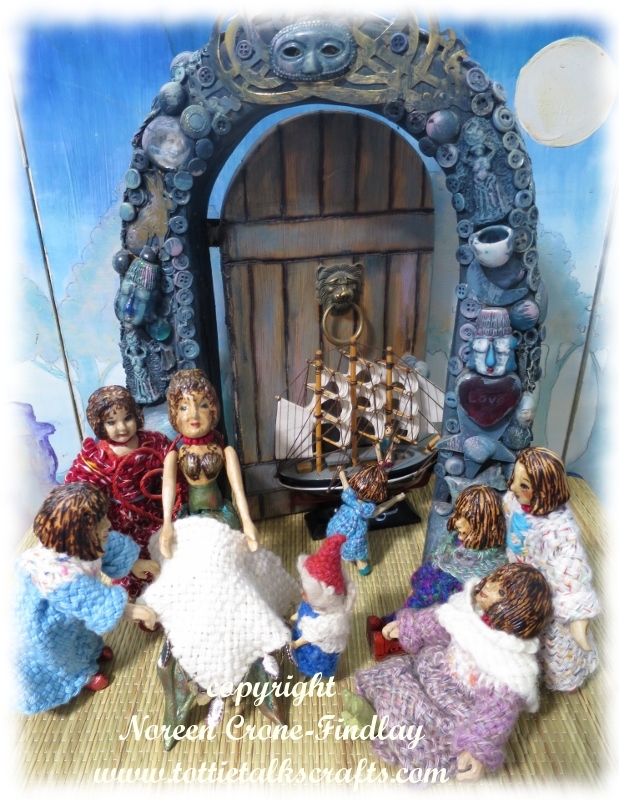 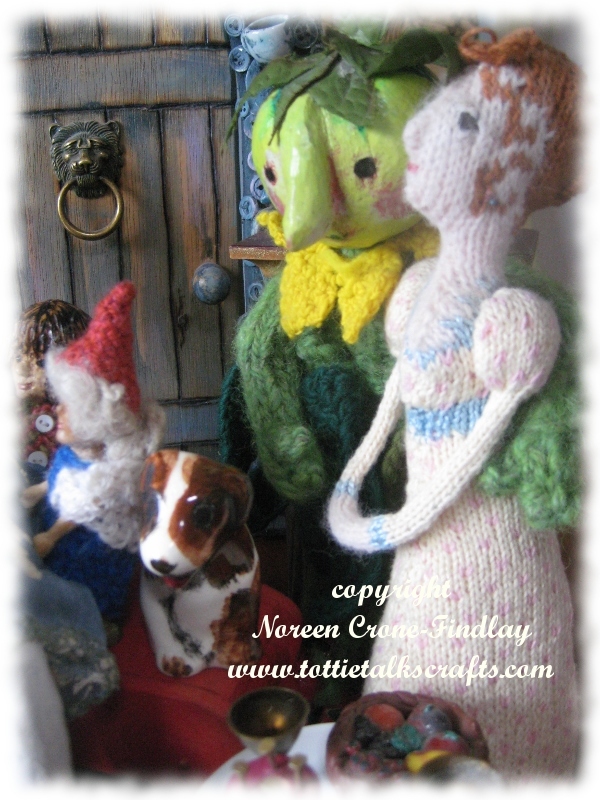 Tottie Tomato and Peggotty Caroline are very interested to hear all about how Tennie came to be behind the Fairy Door…. 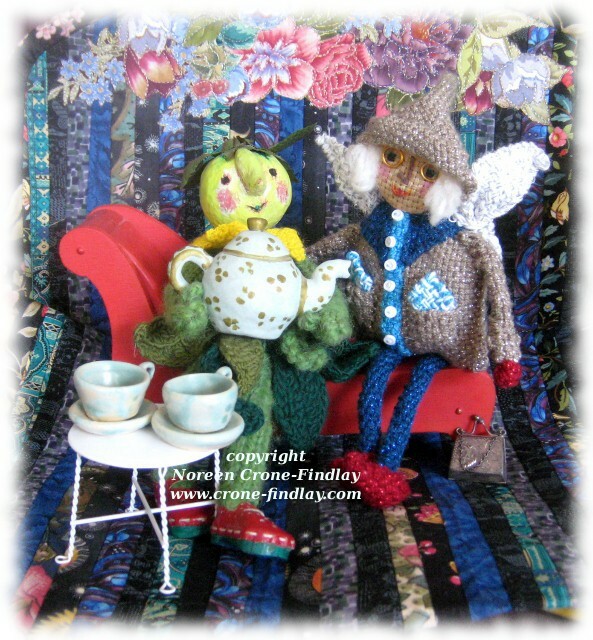 I’m sure she’ll tell them all about it over a lovely cup of tea.